What Is Your Home Based Business Mission Statement Mark… What Is Your Purpose? Hi there… thank you for visiting this web page where I set out my home based business mission statement for my customers, subscribers, team members and website visitors, providing you with my mission and purpose. As a business I am always striving to grow and develop. I am also committed to doing all I can to help my website visitors, subscribers, team members and customers achieve their goals through the information I share on the internet. 1. To publish information about work from home business opportunities, online marketing, coaching and mentoring. 2. 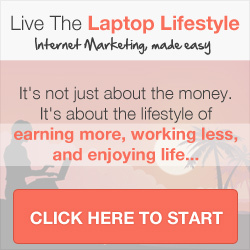 To work diligently to be as helpful as I possibly can towards people from all walks of life who want to learn and become educated about operating a business working from home and leverage the internet in the marketing of their business. 3. Provide an information resource centre covering online marketing and work from home business opportunities that have been researched and brought together into the one place for the benefit of my readers. 4. To show my website visitors, subscribers, team members and customers that I care about helping them meet their goals through running a home based information publishing and marketing business; leaving them feeling that I want to help them in a big way by providing tremendous value. 5. To wake you up to the possibilities in your life. I believe that you can change your circumstances, no matter what they are, and create the life of your dreams. 6. In addition to the above, my mission is to empower two hundred and fifty people, or more, by the 2nd September 2015 to create a digital life where they are in control of their destiny and are 100% financially self sufficient. 7. To educate those that connect with me about how to use interactive technologies to create sustainable wealth and home based internet businesses in the digital economy. 8. To empower you with the systems, tools, training and resources needed to exploit your inner-talents and abilities so that you can create a Digital Life. To help keep you up to date on home based business opportunities and developments within the industry I will post the latest work from home news items on my blog. I will also continue to research on an ongoing basis various market niches that are relevant to the content of this website. This website will, as a result, be updated on an ongoing basis and the latest information will be posted on my blog. I wish you every success and hope that the information I provide on this website goes some way towards helping you achieve all you ever wanted from life. If you would like to make contact with Mark Ford about how I can help you, or if you have any questions, you can visit my contact page to get in touch.